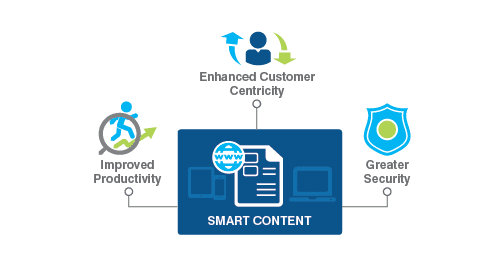 ECM is the methodology of organizing and processing content leveraging tools that capture, manage, store, organize, analyze, preserve and deliver content such as documents related to an organization. We apply this methodology to all our solutions because of the exceptional results and capabilities it brings our clients. Offer a better customer experience and more. We found our ECM niche in the banking and insurance industries. Banks and insurers offer products and services that by nature, are document/content centric. That means whether an organization underwrites policies or manages treasury accounts, it receives an abundant amount of content every day: photos, signed documents, phone calls, emails, medical records, etc. Our ECM solutions enable organizations the ability to optimize their processes across an entire enterprise ultimately cutting costs and much more. Therefore, enterprise content management is more than just a technology to us – It’s the way a business of tomorrow operates. It’s the way our clients sustain happy, loyal customers. It’s making sure employees are efficient. It’s a premier bank, a leading insurer. Our mission is to create visionary solutions that yield exceptional results and ECM is a crucial component of that.